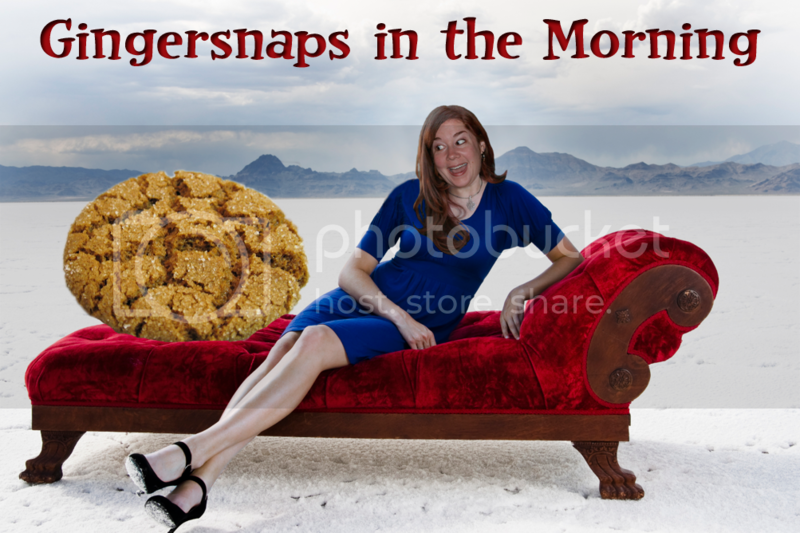 Gingersnaps In The Morning: Grill This!! If you ever wondered what your face looked like grilled into a grilled cheese sandwich, today is your lucky day. 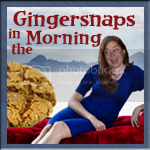 Because a Facebook app lets you do just that. Of course, you're not really putting your face on a real grilled cheese sandwich that you can eat. 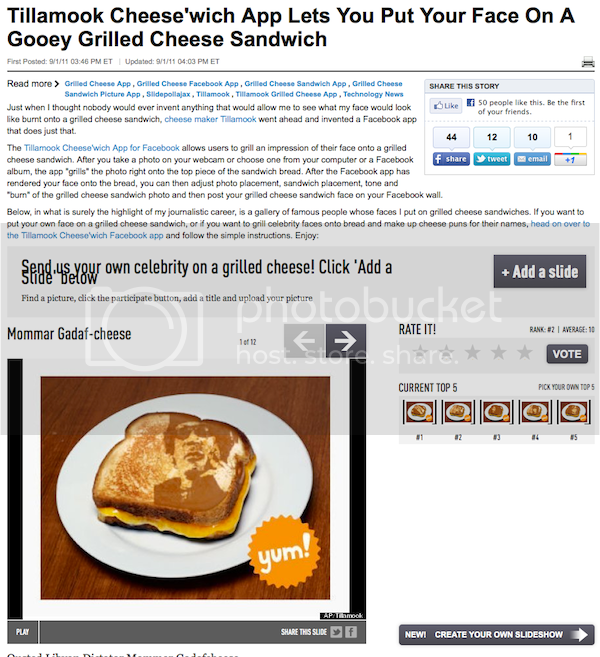 You're just putting the image of your face on the image of a grilled cheese sandwich. Which is just a tease, really. I mean, what's the point if you can't eat the sandwich afterwards? No really, I want answers. What is the point? 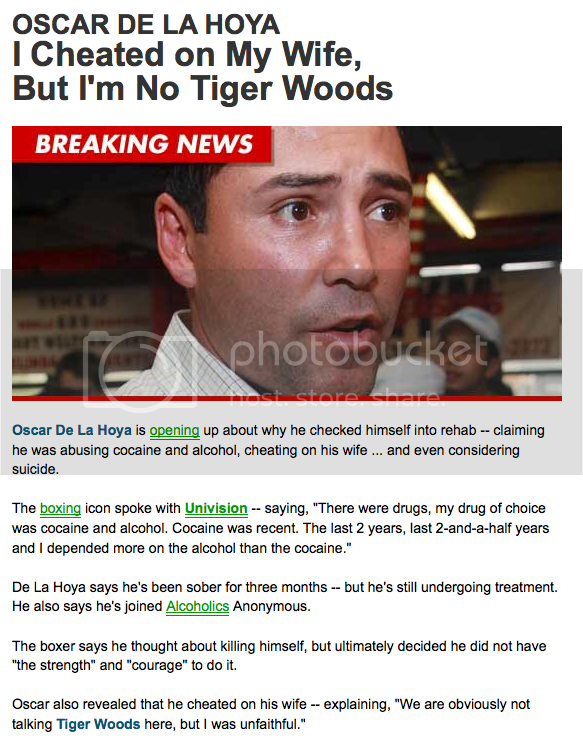 Oscar De La Hoya has entered rehab for cocaine and alcohol abuse and admits that he has been unfaithful to his wife. But he wants us to know it wasn't to the Tiger Woods level. Thank you Oscar (and Tiger) for now giving us a rating for how unfaithful husbands can be. On a scale from 1 to Tiger Woods... Oscar, are you more of a Jesse James? Or Arnold Schwarzenegger? Or do you get your very own category as well? Because while being at a Tiger Woods level is unforgivable, being at Bill Clinton level might let you keep your wife. Do you have 16 thousand dollars lying around and a desire to show off to your friends how wealthy you are? 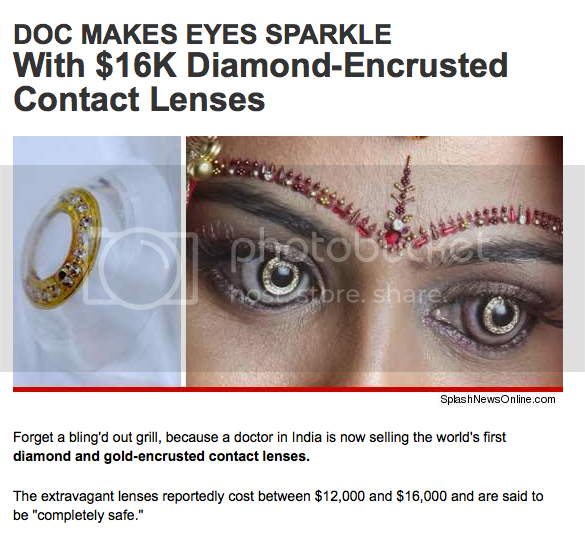 If so, book a jet to India and purchase these diamond encrusted contact lenses. They are supposed to be completely safe for you though... is it me or does the lady look like it turned one of her eyes red? Of course there is the risk that someone will mistake you for a vampire and stake you through the heart or decapitate you. In which case you were probably better off just investing the 16K. And now, for the slowest laser light chase in history. At what point does this become animal cruelty? Actually, a little known fact... fish will also chase (slowly) a laser light. Sadly, I cannot test this on my own betta "Merlin" as two days ago I accidentally poured way too much de-chlorinator in his bowl, causing him to go from bright red to grey-ish red in a matter of seconds. Is it a bad sign when they start taking naps on their side at the bottom of the bowl? Speaking of... if you've accidentally done something to significantly shorten your fish's life and you see he is dying a slow death, what's the more ethical thing to do... let him die on his own or speed it up? And if you speed it up, what method is best? Just curious. Hey, WTF??!! No seriously, my Canuck friends... WTF?! Can you explain this to your Yankee Doodle friend please? Shouldn't he be holding a sheep? Switching to LED lighting is saving Holiday Inn $4.4 million every year. It’s expected that swapping out all of the hotel chain’s 9300 giant signs with signs using LED lights will save $4.4 million annually. The new signs are expected to use 52% fewer kilowatt-hours to stay on. They can last for 50,000 hours without needing to be replaced. This will lead to $1.4 million in pure energy savings alone, and another $3 million saved in maintenance costs. This is part of an extensive global plan by the company to revamp its hotels. It spent $1 billion from 2009 to the end of 2010 updating all of its hotels. I wish I could explain the cover...Is the Girl ready for her First Communion? Is the Boy a neighbour, brother, her intended? This is as embarrassing as 99% of Canadian-made television. Seriously, it's soooo bad!!!!! WTH? where the heck did you find that book? I dunno but that kid in white looks like a little boy..creepy! As a Normal Canadian, I am offended!! (snicker).